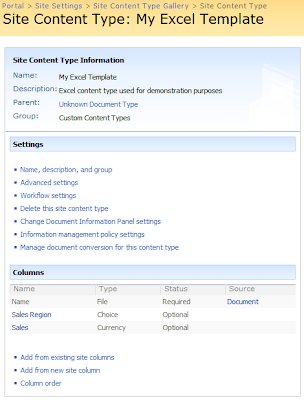 Microsoft added custom definable content types to MOSS 2007 (short for: Microsoft Office SharePoint Server 2007). So why is that a big deal? 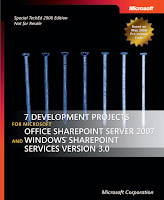 Well, because Sharepoint server 2003 did not support those, which aggravated a considerable amount of developers. Why? Having to create multiple document libraries to hold different types of documents because you just wanted different metadata for different document types. Customized an issues list for your project workspace, then found yourself having to copy those changes multiple times for all the other projects you were running. Created an extensive development intensive workaround to enable different document templates for different document types. Published a custom list template only to realize a month later (and 50 new sites using that list template) that you left out a critical piece and that all lists would have to be updated with the new field. Ouch, that hurts! Content types are hierarchical. It is possible to define a content type which is based on another content type. The new content type will inherit all of the properties of the parent content type. This hierarchy can be as deep as you like. Changes to the Content Type can automatically propagate to all lists and all child content types. Each content type can have a different document template.